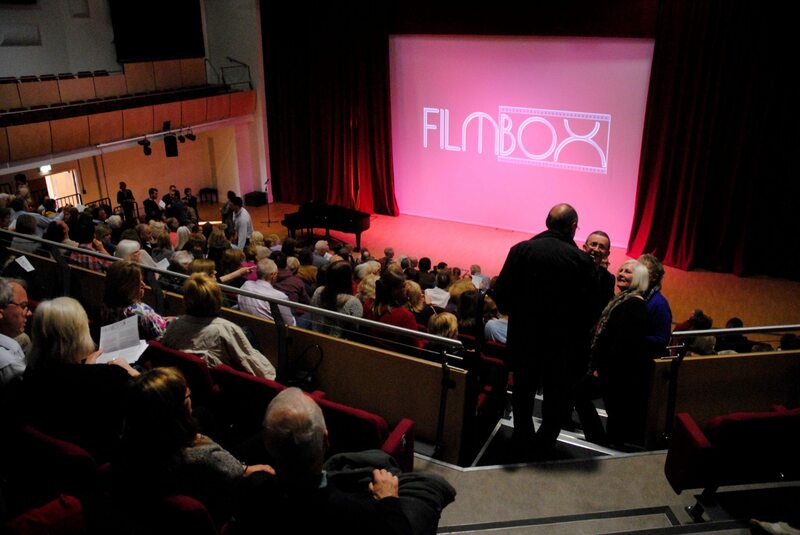 New members: take out FILMBOX Membership at £45 (only one membership per family needed). Buy NEW membership before 8 July and you can buy tickets to our 12 July 2018 social (free welcome fizz and canapés – meet the members!) and film (see either Finding your Feet or Les Parapluies de Cherbourg) at £5 each. Existing members: renew before 10 August 2018 at £38 – a £5 discount on membership purchased from 11 August 2018. Bar and venue box office opens at 7pm, two cinemas for a choice of films, extensive FREE off-street parking. We sell local ice creams by award-winning Simply Ice Cream. OPEN TO ALL NOW – See film trailers below! Come out on Wednesday 24 January and see ‘Dunkirk’ (cert 12A) or ‘I Am Not a Witch’ (cert 12A). Tickets are available online or on the door on the night from 7pm. Tickets £8 (non-members) and £5 (members and under 18s). Bar opens 7pm. FREE off-street car parking. See film trailer below! Come out on Thursday 7 December and see ‘Loving Vincent’ (cert 12A) – the world’s first fully oil-painted film! Tickets are available online or on the door on the night from 7pm. Tickets £8 (non-members) and £5 (members and under 18s). Bar opens 7pm. FREE off-street car parking. See film trailers below! Come out on Wednesday 29 November and see ‘My Baby Driver’ (cert 15) or ‘The Beguiled’ (cert 15). Tickets are available online or on the door on the night from 7pm. Tickets £8 (non-members) and £5 (members and under 18s). Bar opens 7pm. FREE off-street car parking. See film trailers below! Come out this Wednesday 1 November and see ‘My Cousin Rachel’ (cert 12A) or ‘A Man Called Ove’ (cert 15 – in Swedish with English subtitles) – both films are based on best-selling novels. Tickets are available online or on the door on the night from 7pm. Tickets £8 (non-members) and £5 (members and under 18s). Bar opens 7pm. FREE off-street car parking.